good job, what did he score? What did that bruiser score? Wow!! How much did you have to pay for that hunt? I took this bull on public land it scored 380 and its a 6×6. Only 380? I shot one that was 339 and it was a heck of a lot smaller than that one appears. 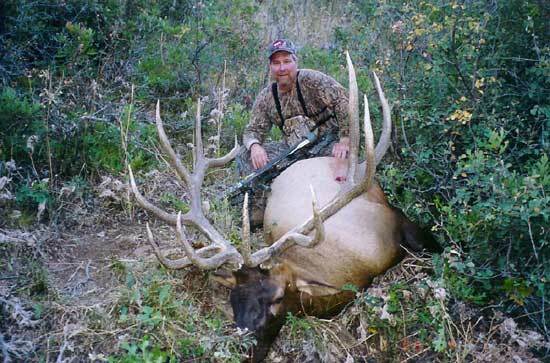 man you shoot some huge bulls! whats the magic? is it scents or just stalk the elk or do you sit all day? i’d like to use some of your tips to help my hunts. BIG…that had to be a great privlege to take him with a bow!!! a bull that big. NICE BULL!